I love crafting and DIY stuff and always have. Ever since I was a little girl I've dreamed of having my own craft studio and still have every intention of having that when I have my own place. However, I usually don't have time to craft or am out of ideas for what to do. I recently got DIY Type: 50+ Typographic Stencils Perfect for Decorating, Crafting, Gifting courtesy of Blogging For Books, and I was very excited to try it out. Its style is pretty vintage, which is pretty popular among crafters and people on Pinterest. The stencils include the entire alphabet in large, capital letters, capital letters that are shorter and stubbier (but still vintage looking), and some little embellishments that one could use. 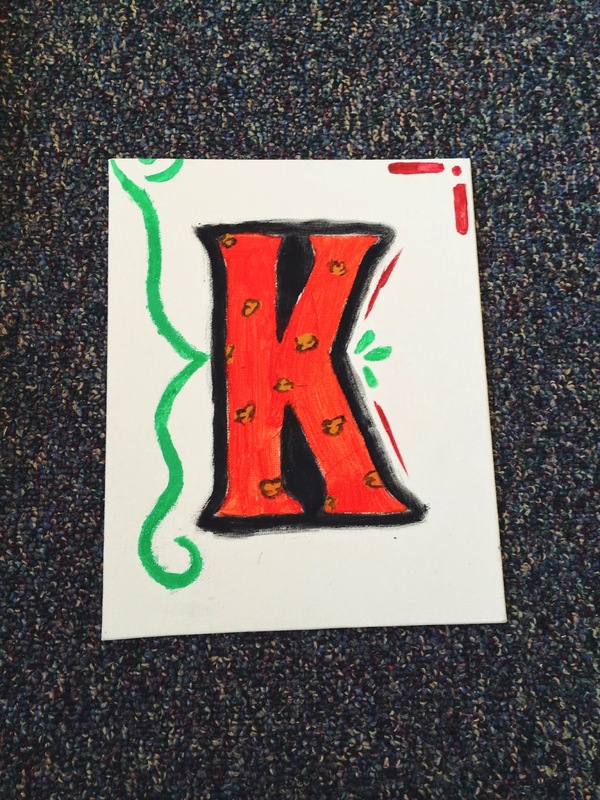 I decided to paint a canvas with my initial, a "K," to see how it would look like, and I was pretty pleased with the finished product for the most part. The stencils are made out of cardboard, which makes them pretty good for tracing outlines and stuff, but when my paint got a little watery (partially my fault), the paint went right underneath the stencil. However, I was able to recover from that so it's all good! I did a pretty simple design for now and hope to add more to it and really make the stencil shine. These stencils are perfect for the upcoming holiday season so I can't wait for that! My only other criticism with this book is the variety of stencils. I think there should've been lowercase letters, script letters, or something more with the variety of the stencils. 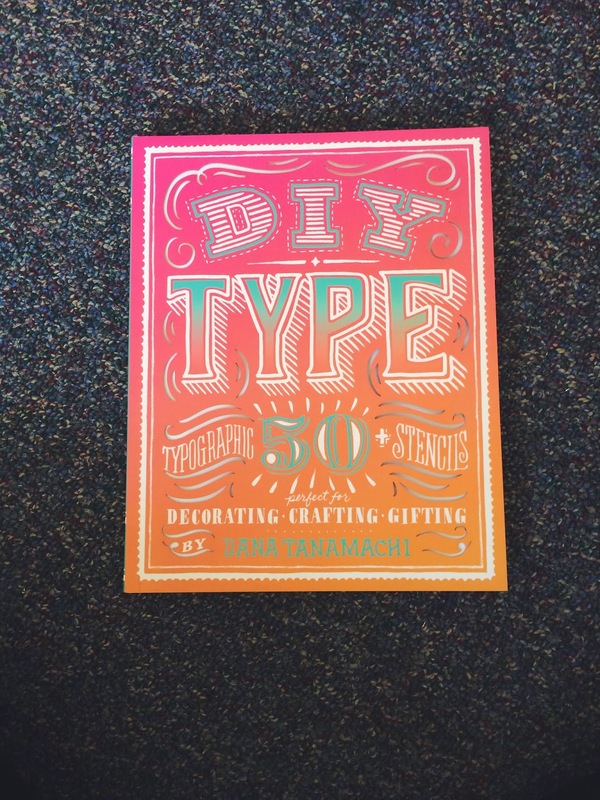 Other than that, I approve and recommend this book for all the crafters out there! Disclosure: I received this book courtesy of Blogging for Books. All opinions are my own. I'm starting to get into Typography but sadly I lack creativity! I would love to learn more about it and I think stencils would be a great intro for me! Thanks for the honest review. Those are super cute! Definitely something I'd look into for my wedding decorations! Definitely try these out! They would be great if you still are unsure of what to do for typography like me! I agree with you. Haha thanks, I tried to cover it to the best of my ability and with the dried paint I had!